The treatment is the first of its kind to use ultrasound technology to allow treatment providers to “see” precisely the tissue that needs to be addressed and then uses the ultrasound energy to stimulate collagen production. The Wall Street Journal recently examined the ultrasound and radiofrequency options currently on the market and declared Ultherapy “the hottest option available”, (essentially determining that Ultherapy treats deeper and hotter than its competition). In the September 11th, 2012 article, “Fighting Wrinkles with Heat: Radiofrequency and Ultrasound Facials”, reporter Laura Johannes explains how radiofrequency and ultrasound options are different from lasers – penetrating deeper and offering less downtime. Slowing down the aging process? Dr. Fitzgerald believes early treatment of Ultherapy, Sculptra and fillers seems to slow down the aging clock. With a boost of technological stimulation it’s easier to keep the skin’s collagen cycles running more energetically. In one sense you can look at early procedure choices as a way to prevent the heavy lifting that would occur if you waited until everything had already slowed down. It’s very similar to how you normally have preventative maintenance on your car. Those 15K tuneups keep the car running better and longer with far less need for a major overhaul. If we apply this same idea to the skin, then it’s easier to apply a pattern of “along the way” procedures to keep everything running smoothly. One of the really nice features of Ultherapy in particular is the “no downtime” aspect. You can have a treatment and even that same day, no one’s the wiser. There’s no recovery outside of a short term pinkness (and a rare bruise if you’ve been taking a lot of heart-healthy supplements). Who who can overstate the benefit of abbreviated downtime? 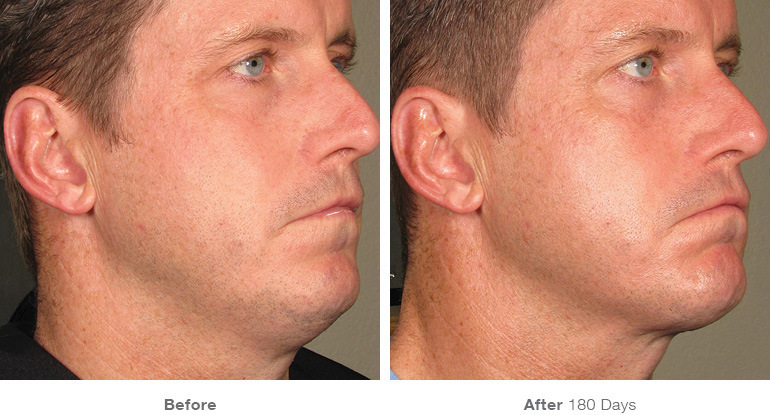 Within months you can potentially get facelift-rivaling results and bear no tell tale signs at all. In our experience Ultherapy works no matter what your age, but does seem to have a stronger effect faster on skin that has not already hit a high maturity mark. Call our office to schedule your Ultherapy consultation. Our Special Procedures RN, Angela Sarff, is one of a very limited group of Advanced Ultherapists. Her in-depth training gives her quite an edge in getting the best results with the best and most advanced techniques.